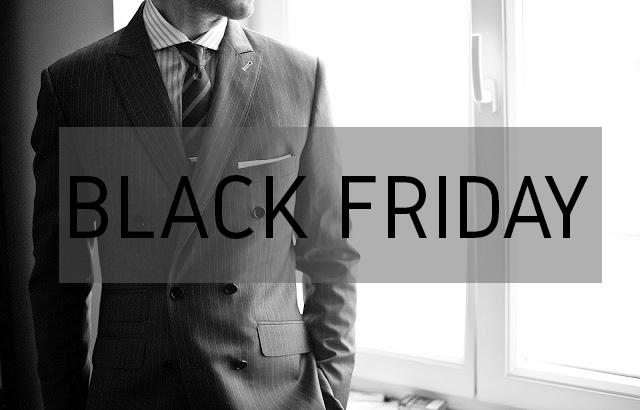 Gentlemen, time has arrived for Indochino's Black Friday 2016 Deals. The best deals are always the simple ones, with no minimum purchase amounts or other restrictions. At Indochino, you can get up to 70% off on many items, check out the full selection here. Use the filter in the menu bar to narrow down your search for particular colours or patterns and find the best suit for your needs. To get the best deal, either login to your Indochino account to see the discount displayed next to the original price right away or head to the checkout and apply the discount code BLKFRI. As usual, many suits are only available in limited quantities.